Contests CONTEST: “Bullet to the Head” Merch Up For Grabs! CONTEST: “Bullet to the Head” Merch Up For Grabs! One day ahead of the movie release, we thought we’d do a little contest! Thanks to our friends from NEF, we’ve got official “Bullet to the Head” merchandise to giveaway to THREE lucky readers. 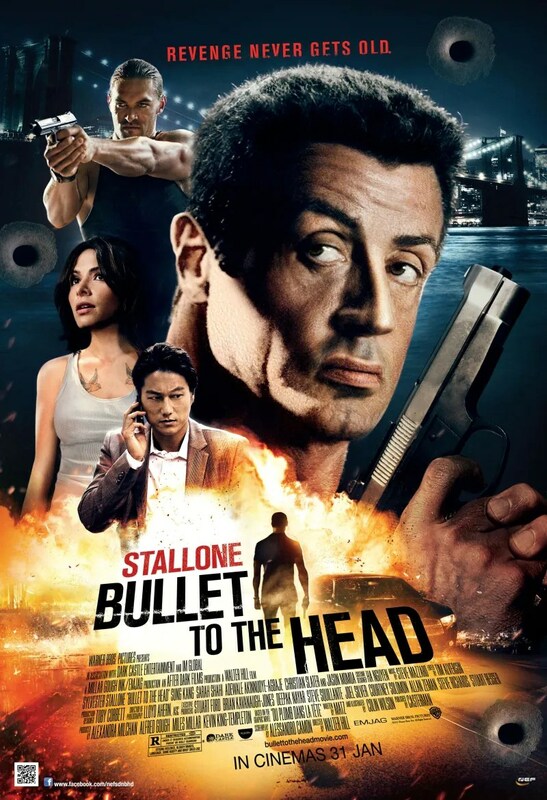 Name THREE movies that Sylvester Stallone has directed, produced, and starred in respectively and TWO movies in which he was a voice talent for. Tell us why you deserve to win the official “Bullet to the Head” merchandise. E-mail your answers to submit@hype.my. Please state your full name, IC number, e-mail address and contact number in your contest entry. Winners will be announced on our Facebook page and a winners list post. Winners are required to pick up prizes from our office. Contest is open to those residing in Kuala Lumpur and Selangor only. Prizes are strictly nontransferable. Hype Malaysia reserves the right to refuse the collection of prizes for those who attempt to transfer it from one contest winner (in whose name it is registered) to another person. The judges’ decision is final, conclusive, and no further correspondence shall be entertained. Submissions close on the 6th February (Wednesday). For more information, visit the movie’s official website. Next articleWill The BB10 Rescue RIM? Eats, sleeps, & breathes music, but drinks mostly coffee & okay, some wine - sometimes, a little too much. A little too obsessed with the number seven, is deathly afraid of horror movies, believes that she writes better than she speaks, & currently feeling a little strange writing a profile about herself. WINNERS: “Bullet to the Head” Merch Up For Grabs!